TIPC is pleased to announce that the full five-year TIPC programme kicks off this week. The core transformative programme, new website and blogs are now live. 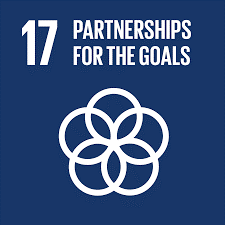 In honour of Sustainable Development Goal 17, Partnership for the Goals, TIPC officially commences its global strategic partnership on transformative innovation this week from 17 May 2018. The TIPC central aim is to build an international network dedicated to transformative change as embodied in the SDGs. The ground-breaking programme of transformative work, that places front and centre a new kind of thinking on science, technology and innovation (STI) to help reach the aims embodied in the Sustainable Development Goals (SDGs), starts across a network of members and associates. Coordinated from the Science Policy Research Unit (SPRU) at the University of Sussex, TIPC interlinks researchers, innovation agencies and policymakers from the Global North and Global South. They are united in their commitment to work together to change how STI interacts with the UN’s Agenda 2030 to support delivery of the SDGs. Having completed a successful pilot year, the five-year programme is focused on shaping science, technology and innovation strategies and systems that do not neglect, side-line or trade-off social and environmental consequences. Current approaches to STI policy, connected with industrial modernity, globalisation and economic growth as measures of progress, have delivered advancement for some while leaving the stark scar of inequality and environmental degradation across the planet and many of its people. TIPC’s work shifts away from well-trodden paths, to new directions that revitalise and experiment with fresh assumptions and ideas. The members will work together to co-create a new understanding along with tools and techniques to develop Transformative Innovation Policy. The four strands of the core programme are: experimentation, evaluation and metrics, capacity building and training, and academic research. TIPC is not ‘business-as-usual’ or ‘science-as-usual’ or ‘development-as-usual’. It is business, policymaking, partnerships, directions and outcomes that are anything but the usual. The consortium currently comprises members from South Africa (NRF and DST), Colombia (Colciencias), Sweden (Vinnova), Finland (Business Finland), Mexico (CONACYT) and University of Sussex (SPRU). There are associated projects in China, Norway, Brazil and Panama. Further countries are expected to join the group later in 2018. By interlinking the aims, knowledge and findings on STI in achieving the SDGs in various countries, the network of policymakers, researchers and practitioners working on transformative innovation strengthens and grows to enable and activate more rapid, fundamental change. The rationale is that the TIPC core programme is co-created and participatory. The core elements interplay with specific projects (bilaterals) in each member and associate country. The nucleus of work on transformative innovation and change at the centre, informs the country-context initiatives. In turn, these bilateral projects then feedback into the shared knowledge and experience at the centre. By interlinking the aims, knowledge and findings on STI in achieving the SDGs in various countries, the transformative movement strengthens and grows to enable and activate more rapid, fundamental change.